Reid Hoffman, co-founder of LinkedIn, recently wrote a great piece that neatly describes the many benefits of autonomous vehicles. His article got my wheels turning, which ultimately led to this blog post. For those of you unfamiliar with autonomous vehicles, I will provide a little background before I really jump in — Autonomous vehicles are vehicles that can drive themselves without any human input. Google has been working on this problem since 2009, and they already have several working prototypes that have test driven over a million miles on real roads, with accident rates far below that of human drivers. 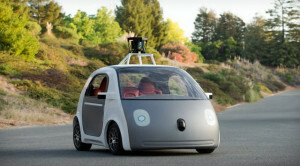 Google plans to have an autonomous car on the market by 2020. Nissan is shooting for 2018, and many big companies like GM, Ford, Apple Computer, Toyota, and others have their own projects in the works. This is a real thing, and there is no question that the technology works. Most commentators that closely follow this technology agree that autonomous vehicles will be hitting the market sometime in the next decade. Among their many potential benefits, autonomous vehicles will be much safer drivers than human drivers, which would drastically reduce death, injury, and property damage by lowering the number of collisions. Autonomous vehicles will drive faster and more efficiently, cutting down on transit time. Without the wasted time spent controlling their vehicles, humans can now spend transit time doing more productive activities, leading to a net increase in workforce productivity. Cars, which are currently utilized only 4% of the time, would also become more productive assets because they need not stay in a parking spot or in the garage while the owner isn’t using them. Instead, they can drive around transporting other people and running errands. The benefits above are just the highlights, but the one that really jumps out is that whole “fewer people will die” thing. Over 30,000 people die in car crashes in the US every year. This jumps to 1.25 million deaths and an estimated 20-50 million non-fatal injuries worldwide, every year. Over 90% of these collisions are caused by human error. The data clearly indicates that autonomous vehicles will save lives by being much safer than human drivers. They are so much safer that Reid Hoffman (and others) argue that human driving should eventually be banned, an assertion I fully agree with. In a future world where autonomous vehicles bring the rate of traffic-related death and injury close to zero, society will view human operation of a vehicle as barbarically and intolerably risky. Now lets jump in. Barely half a decade has passed since Google grabbed the reins of autonomous vehicle development, and already it seems like self-driving cars are inevitable. In the US there are over 200 million licensed drivers driving over 250 million cars on nearly 4 million miles of roadways. We use our cars to go to work, to buy groceries, and to go on family vacations. It is obvious that any innovation that drastically changes the way that we use and interact with cars will do more than revolutionize the auto industry, it will reshape the economy. 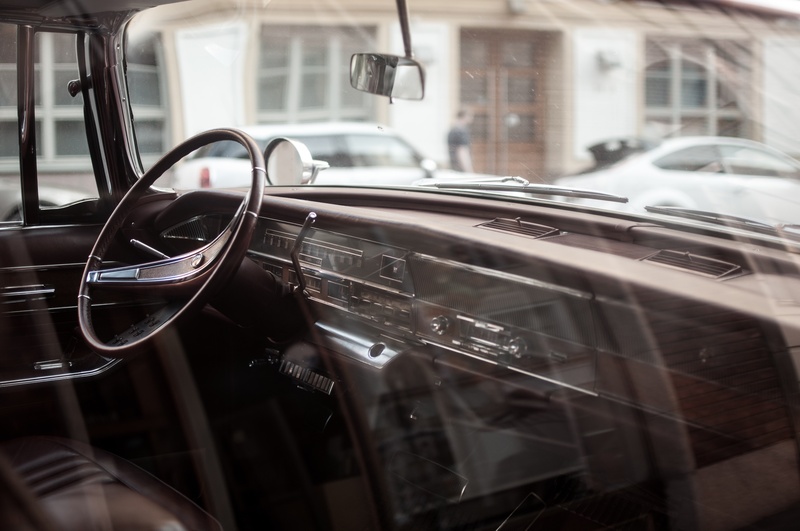 Autonomous vehicles pose a multitude of fascinating legal questions, many of which I intend to write more about on my blog, but in this post I want to look specifically at two issues. First, I predict that fully autonomous vehicles will spark a fairly rapid transition of the automotive industry from a product-based industry, currently dominated by traditional manufacturers, to an information-based industry dominated by software companies that provide or facilitate transportation services. Second, I am concerned that the legalization of fully-autonomous vehicles and an eventual ban on human driving may be unnecessarily delayed by public or industry resistance, and that stakeholders must actively pave the way to prevent such resistance. Fully autonomous vehicles will likely use some combination of built in sensory systems, vehicle-to-vehicle networking where your car is sharing information about traffic conditions with other cars, and vehicle-to-infrastructure networking where your car is sharing information with a central grid. 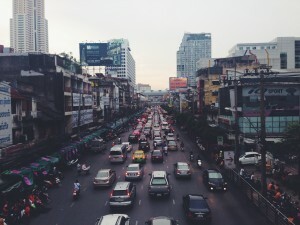 Through these methods, your car will constantly be capturing and sharing a wealth of data about surrounding drivers, pedestrians road conditions, and traffic patterns, and potentially also other data that is not directly related to transportation. Using this data, your car’s operating system will regularly be updated and optimized to reduce transit time by taking the quickest route, minimizing the safe following distance, increasing average speed, all while minimizing your risk of collision. Autonomous vehicles will make transit more efficient. This application is obvious. Lets take it a step further. Autonomous vehicles will be so efficient that transportation service companies will eventually replace, almost entirely, individual car ownership. We’ve already seen Uber and Lift pair a crowdsourced workforce with an underutilized, privately owned resource (cars) to create a transportation service that is starting to displace car ownership as the preferred transportation method. A survey showed that private car ownership dropped by almost 50% among car sharing users. This effect will be amplified when the crowdsourced workforce is replaced by autonomous cars that can operated at much higher levels of efficiency. A blue paper released by Morgan Stanley in 2013 predicted that private car ownership could be cut in half by autonomous vehicles, but I believe that the impact will be even more drastic. Not only will autonomous transportation services react to transportation requests rapidly and fulfill them more efficiently, they will also be able to predict your transportation needs. A study by the Earth Institute at Columbia University has shown that we already have the ability to create a transportation system with average wait times of a paltry 36 seconds, and as driving data is merged with the rest of our internet data (which will continue to grow as the internet connectivity is integrated into physical objects – Internet of Things), the predictive power of transportation services will become nearly perfect. Initially this may be offered through an Uber-like “sharing economy” app that relies on personal ownership where you send out your autonomous vehicle to drive people when you aren’t using it. Eventually, however, this model would fail because the cost of owning a vehicle won’t make sense for most people and the number of personally owned vehicles will dwindle. Why would anyone spend the money to purchase and maintain a vehicle, at an average cost of $9000 per year, when they will have access to the same transportation services through a 3rd party service provider on an as-needed basis for a fraction of the cost? They won’t. Vehicle ownership will only make sense for businesses, because they will be best positioned justify the expense by monetizing the asset. Once autonomous vehicle technology has advanced enough for fully self-driving cars to be commercially available, I believe that the transition to a service industry will be fairly rapid. Transportation will become an information technology, so it will progress at the exponential pace that futurist Ray Kurzweil has described as the Law of Accelerating Returns. Depending on how the data collected by networked cars are shared with 3rd parties, we will see an explosion of web startups that provide services related to autonomous vehicle transit. 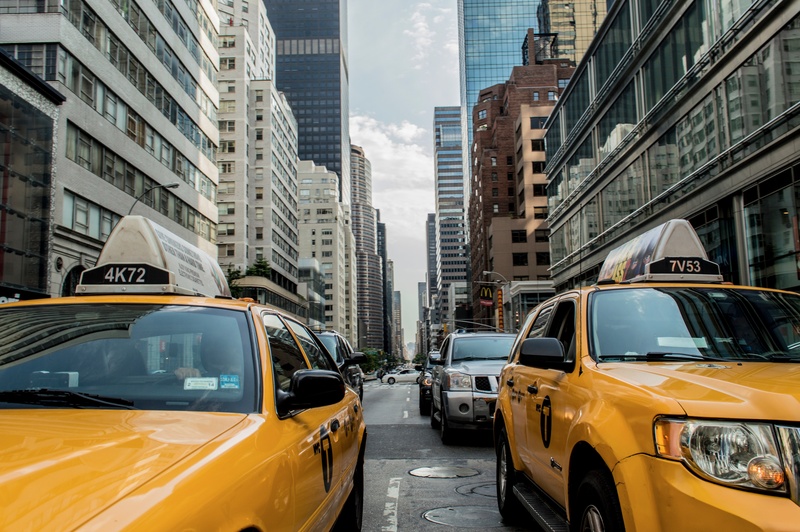 Among other applications, it won’t take long for a company to come along and build a fleet of autonomously driven taxis that will almost immediately become the preferred method of travel, especially in densely populated urban areas. How do I know this? Well, because it may already be happening. Google is already looking into getting into the robot taxi business, and Uber is partnering with Carnegie Mellon University to create the Uber Advanced Technology Center, which will research autonomous technologies. Traditional automotive manufacturers will watch as the automotive industry becomes dominated by software companies. It will start to look a lot more like the smartphone industry, where hardware is important but secondary to the software, data, apps, and user experience. While manufacturing will always be a vital part of the industry, it will no longer be responsible for the bulk of it’s revenues. The high overhead of current manufacturing processes will make it very difficult for major automakers to maintain profitability as car sales drop due to declining personal car ownership. Even GM, Ford, Toyota, and other big brands will have to change their business model to survive, either by reducing their manufacturing overhead by streamlining their offerings or processes, or by entering the software game and developing their own autonomous driving systems. All the big makers have started investing in AI-based product R&D and have been adding autonomous driver assistance technologies, like adaptive cruise control, emergency braking, and smart parking systems, to their recent cars. However, autonomous driver assistance features are limited in application and duration of use, and are miles away from the fully autonomous self driving systems I have been talking about. Even Nissan, which has probably made the strongest commitment by promising to have a market-ready autonomous vehicle by 2018 and subsequently partnering with NASA to research autonomous vehicles, is probably way behind. Google is the king of the information game, and traditional auto makers, despite their vast resources, will likely find themselves overmatched if they try to compete with Google at autonomous software development. Many auto-makers will probably survive to some degree through a combination of partnerships, licensing agreements, and brand value, but the risk that they will be buried by the coming wave of innovation is very real. The pending 3D manufacturing revolution adds another challenge to the old guard, as new companies that can rapidly 3D print highly customizable car parts threaten to totally disrupt auto manufacturing. Arizona-based Local Motors has plans to erect a series of micro factories with low cost tooling, and is set to debut it’s 3D printed electric car in 2016. I would not be surprised if Google and other autonomous vehicle software developers choose to partner with Tesla or some other manufacturing upstart and leave the traditional manufacturers out of the fun altogether. How long will this take? Well I’m not much of a betting man, but if you put a gun to my head I would predict that autonomous vehicles powered by Google will be available for purchase by 2020 and an autonomous taxi service will be launched immediately after. A decline in traditional car manufacturer revenues will be noticeable within 6 months, and it will take just one fiscal cycle for Wall Street to freak out and cause traditional auto manufacturer stock to tumble. We’ll start seeing car companies fold, and by 2023 only the survivors will be left. By 2027 human driving will be banned on public roads, we won’t need driver’s licenses, and our children will stifle giggles as they listen to our stories about shopping for our first car. Fully autonomous vehicles need to happen. Passing laws banning human driving needs to happen. It will save lives, and that alone makes it a moral imperative. However, I am afraid that this life-saving tech may run into some road-blocks (ugh traffic pun). First, I should clarify: I don’t think there is any doubt that some level of autonomous systems will make their way into our cars. Car manufacturers already compete to add better and more powerful autonomous driver assistance systems to their cars, and eventually some of these systems may even take over sizable driving tasks. My concern relates to the adoption of fully autonomous vehicles that can operate with zero human input. I’m also concerned that, even if fully autonomous vehicles are brought to market and adopted, lawmakers may fail to ban human driving or, even worse, will actually require that systems capable of fully autonomous driving still allow or encourage human drivers to supervise and take control. Generally I believe that technological progress is pretty inevitable. In a capitalist system there really is no amount of lobbying by special interests or attempts by morally-opposed politicians to block a technology that will stop it from happening so long as that technology creates sufficient value. I suppose the key word in that claim is the “sufficient value” part, but a corollary to Kurzweil’s Law of Accelerating Returns is that over time fewer investment dollars will be necessary to develop technologies of increasing value. The natural conclusion is that it will be increasingly difficult for special interest groups to use the legal or political system to stop or even slow the development of value-creating technologies because they will be overpowered by market forces. HOWEVER, I think that the car industry could present an interesting challenge to that premise. I can’t think of any new technologies that attempt to so directly and radically transform an industry as large and entrenched as the American car industry (except for perhaps alternative energy research attempting replacing traditional oil and coal). In addition to the sheer size of the automotive market, which includes the $198 billion automobile insurance market, $98 billion automotive finance market, $100 billion parking industry, and the $300 billion automotive aftermarket, almost 900,000 people are employed in vehicle manufacturing, over 3 million are employed in dealer and maintenance jobs, and 6 million are employed as drivers. Beyond sheer economics, Americans love their cars. Cars are more than just a product that adds utility, they are a cherished part of our history and our national identity. For Americans, car ownership increases your independence. It symbolizes freedom. I see public adoption of fully autonomous vehicles and a ban on human driving potentially being delayed due to the confluence of 3 factors: 1) there is a well established infrastructure and legal regime governing driving that doesn’t contemplate autonomous vehicles and which will probably need to be changed before autonomous vehicles are sold nationwide, 2) traditional car manufacturers may have an incentive to block or delay fully autonomous vehicles, 3) there may be significant public fear of fully autonomous vehicles and backlash over a ban on human driving. It’s not a bold statement to say that new tech is usually miles ahead of any applicable legal and regulatory regime. Put simply, new tech will often launch in a somewhat uncertain legal landscape, and lawyers just do their best to figure out how to handle any resulting disputes. Frankly, that often works out fine. From a policy perspective it is generally better to encourage rapid innovation than it is to slow down innovation in an attempt to identify and prevent all negative consequences because the value created by rapid innovation so greatly outweighs the damage caused by any unforeseen consequences. Obviously it is important to mitigate risk as much as is practical, but there is a balancing test there that usually weighs in favor of encouraging rapid innovation. However, new tech launching in the auto industry finds itself in a slightly different situation. The transportation and auto industry is very well established and governed by a comprehensive and generally pretty uniform set of laws. 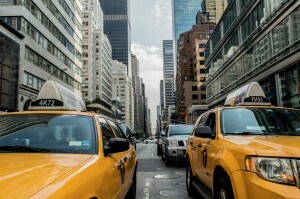 When coupled with the fact that driving is a daily activity upon which a significant percentage of economic activity relies on, it is apparent that reshaping the legal regime to address autonomous driving consistently across jurisdictions will be a prerequisite to autonomous vehicles seeing widespread adoption. This requirement opens the door for federal and state legislators to wield significant power over the rollout of autonomous vehicles, which in turn opens the door for powerful special interests to get in there and muck things up. A handful of states have passed legislation allowing autonomous vehicles for testing purposes or requiring the relevant DOT to adopt rules governing autonomous vehicles, but we are still a long way from these rules being promulgated and we don’t know whether they will allow for fully autonomous vehicles. Most of the “friendly” legislation requires a human to supervise and be ready to take over control of the autonomous vehicles, which I believe will be a dangerous precedent. I believe that this requirement stems primarily from an irrational fear of relinquishing control to computers, and although the current limitations of autonomous cars may demand a human supervision requirement, I am afraid that lawmakers will continue to require some level of human control even after the technology is fully mature. This unfortunately aligns with the trend in the traditional automotive industry toward driver assistance technologies. Driver assistance technologies that would alternate between full computer control and human control will actually be very dangerous, as humans cannot be counted on to maintain focus through extended periods of inactivity and to respond immediately to computer errors. Educating lawmakers on this issue will be very important, especially if they are faced with pressure from the public or from private interest groups to require human supervision. Private interest pressure may come from traditional auto manufacturers. As explored above, these companies will probably be the big losers of a shift to fully autonomous vehicles, so they may lobby legislators to pass laws requiring some level of human supervision over autonomous vehicles, which would effectively blocking fully autonomous vehicles and allow them to maintain their control over the industry. Public pressure will likely stem from an irrational fear of relinquishing full control of vehicles to a computer. I believe that this fear will naturally subside over time as people are exposed to and become more comfortable with autonomous vehicles, and is probably already being accomplished by the integration of driver assistance features. However, I’m afraid that there could be a window of time where the combination of initial public fear and early attempts by auto makers to require human supervision of autonomous systems could delay the rollout by a couple years. To be fair, there have been some encouraging early signs that politicians and lawmakers will embrace autonomous technology. Being at the forefront of autonomous vehicle research and development will be a boon to local economies, so it makes sense for local leaders to work to pass friendly laws and to partner with industry. For example, the University of Michigan has partnered with the US and Michigan DOT, and industry giants like Ford, Toyota, and GM, to build Mcity, and 32 acre testing facility for autonomous vehicles that simulates a broad range of complex and suburban environments. However, it is very unclear at this point whether this example will be representative of the attitudes of most lawmakers. Once fully autonomous vehicles are available, the next step is to ban human driving on public roads altogether. Such a ban will be affected by the same issues explored above. Furthermore, Americans tend to be very sentimental about driving their cars and understandably may be very hostile to any legislation that takes that away from them. I can already hear the outcry when state or federal governments pass laws banning or limiting human driving: “I have a right to drive!”, “if they take my right to drive, what other liberties will they take!” The simple fact is that there is no so-called “right to drive,” but public opposition, no matter how unfounded, is still very relevant when democratically elected politicians are the ones responsible for passing laws governing autonomous vehicles. There is something that we can do about this. The ultimate cause of any delay will be a critical mass of public opposition. Even in the face of opposition from traditional car manufacturers, lawmakers will be hard-pressed to stop efforts to market and legalize autonomous vehicles if there is a strong base of public support. I suggest that, to ensure a streamlined rollout of autonomous vehicles and to minimize any undue delay, stakeholders should make efforts to 1) increase the public’s familiarity and comfort with autonomous vehicles, and 2) work with lawmakers on both a local and national level to develop a cohesive legal regime for autonomous vehicles. Although we have around four years before fully-autonomous vehicles will be brought to market, the groundwork needs to be done now so that appropriate regulations explicitly authorizing the operation of full autonomous vehicles will be in place at that time. The value of autonomous vehicles will be measured in terms of lives saved rather than dollars earned, and as such I believe it is a moral imperative to facilitate it’s adoption and ultimately a ban on human driving on public roadways. Autonomous vehicles will make us safer, reduce the time wasted in transit, and increase the productivity of our entire workforce. The auto industry will be transformed from a product-based industry that markets to consumers into a service-based industry that provides highly efficient on-demand transportation services, resulting in a sharp decline in personal car ownership and an increase in startups that provide or augment transportation services. Similarly, as autonomous cars become ubiquitously networked and their data collected, the service auto industry will become an information industry dominated by internet companies. As Reid Hoffman put it, “an asphalt utopia is on the horizon”, but unlike some other technologies, this asphalt utopia is not inevitable. The need to establish a comprehensive legal framework before autonomous vehicles can really be rolled out (or put differently, the power of lawmakers to complicate and delay the rollout), creates an opportunity for powerful special interests to make things difficult. Furthermore, if public resistance to autonomous vehicles and a ban on human driving aligns with special interest and political opposition of the same, I fear that there is a real possibility that our asphalt utopia will be delayed by as much as 2-3 years. Given that any unnecessary delay will allow the continued loss of human life in fatal collisions, it is incumbent upon stakeholders to take steps to 1) increase the public’s familiarity and comfort with autonomous vehicles, and 2) work with lawmakers on both a local and national level to develop a cohesive legal regime for autonomous vehicles. The future is bright, but it is not inevitable. With thousands of lives hanging in the balance the stakes could not be higher, so we all need to work together to ensure that autonomous vehicles and a ban on human driving arrive without delay.